Written by Hannah Clarke, Curatorial Assistant (Collections Access) University of Aberdeen, Museum Collections Centre. This October I was lucky enough to attend my first ever NatSCA conference, thanks to funding from one of the NatSCA bursaries. I was originally a little daunted, as this was my first Natural History Conference, but I knew that I had to throw myself in the deep end! However, these worries soon dissolved, as everyone was really friendly, passionate about their specialism and eager to share their knowledge and experiences with everyone else in the room. 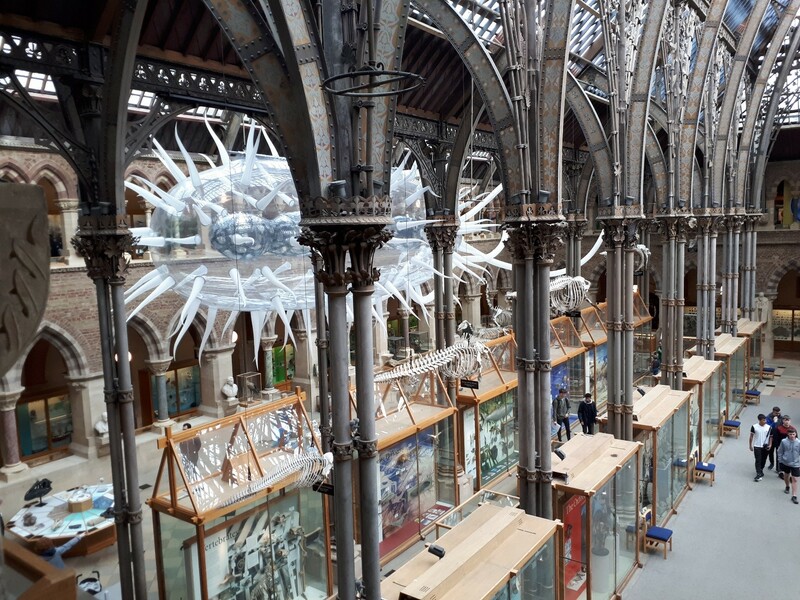 Not only this, but the setting at Oxford University Museum of Natural History was a real treat, and I had a chance to take in the collection from above during coffee breaks. View from the first floor at Oxford University Museum of Natural History, showcasing the impressive architecture and collections below. © Hannah Clarke. 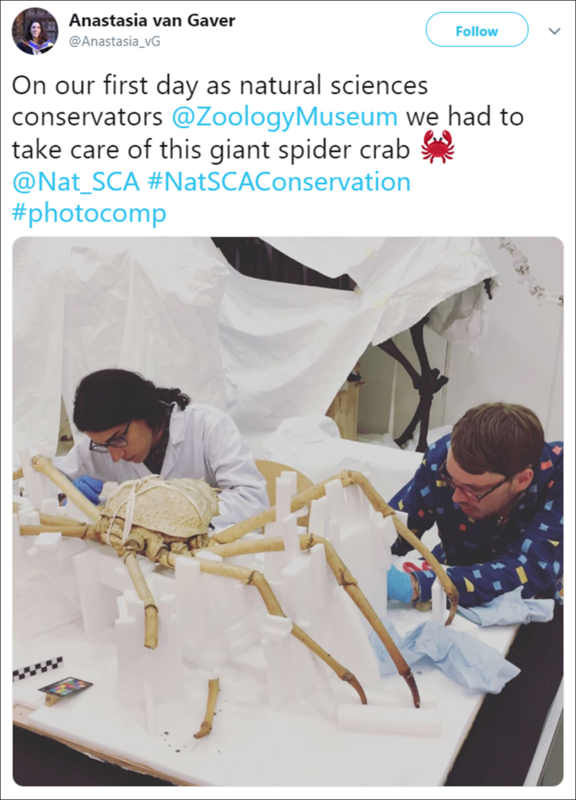 Having originally trained as a conservator, I am now working in a collections access role, with responsibility for the upkeep of the Zoology Museum within my institution. 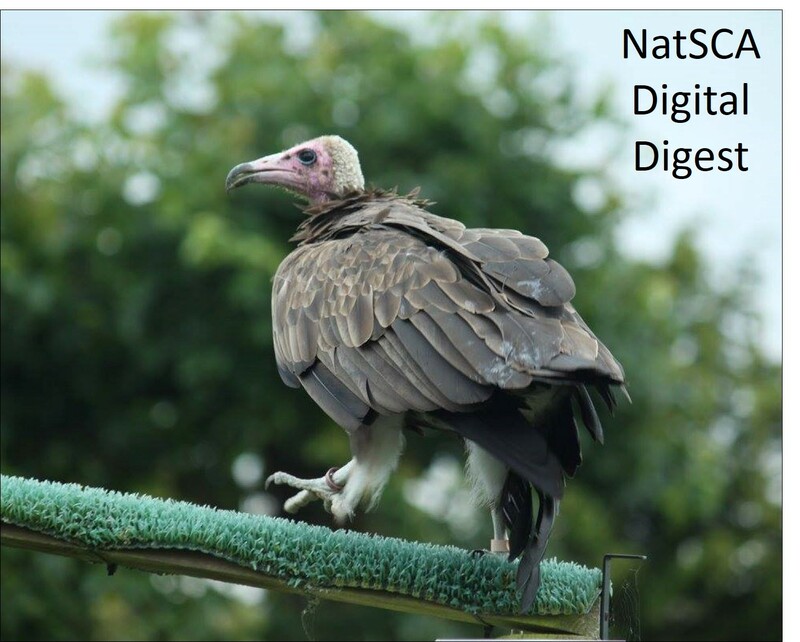 Having been more focused on collections care in the last few years, I was keen to learn more about current advances in the conservation of natural history collections. There were many highlights from the day, and as always at these kinds of events, new connections were made and advice offered openly to those with questions in the audience. Written by Maggie Reilly, Curator of Zoology at The Hunterian Museum (Zoology), University of Glasgow. “Huzzah!” (or something similar) my colleague Adam and I cried as we put the last of our bird skin collection in its new home – the rather swanky Bruynzeel (other brands are available) drawers that are part of the new storage arrangements for the Hunterian at the Kelvin Hall in Glasgow. We don’t have a huge bird collection here at the Hunterian – well, not by some people’s standards, but we do have some pretty special stuff. Cataloguing is not complete (is it ever? ), but to date here are the stats: Bird skins 3,587; Bird mounts ca. 450; National Nest Reference Collection ca. 2000; Eggs ca. 1000; Bones ca. 100? ; Wet-preserved>30. I am going to focus on the skin collection here. 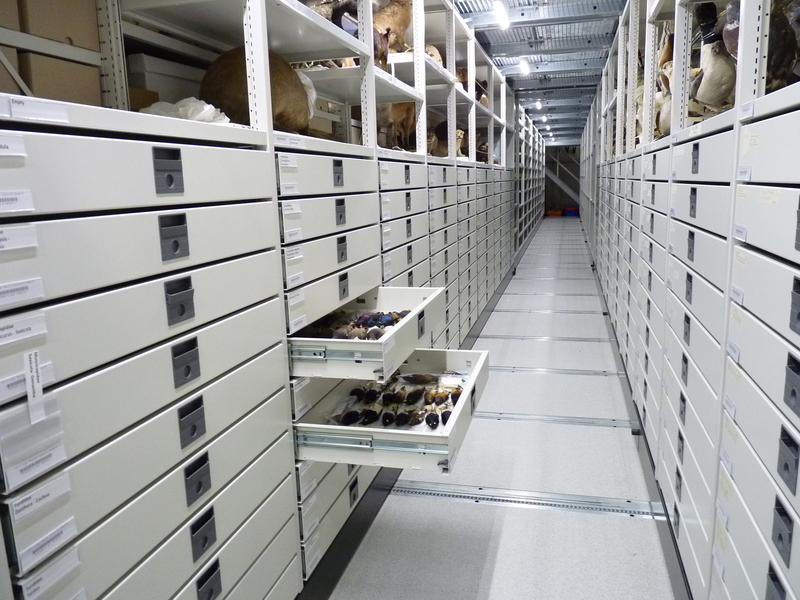 New storage at the Kelvin Hall for mammal, bird skin and mount collections. © The Hunterian, University of Glasgow. Most of the skins were moved along with the rest of the Hunterian’s study collections, over the last two years to our new home the Hunterian Collections Study and Access Centre at the Kelvin Hall. The latter, adjacent to University, is an iconic building in Glasgow which has served many purposes in its 100 year history. It is now a partnership between the University of Glasgow, Glasgow Life and National Libraries of Scotland, to provide access to museum and library collections, and sports facilities. Organising and moving the collections has been a monumental task and is still underway for other parts of the collection. Thankfully it has mandated much hands-on time with the collections, previously a rare treat. 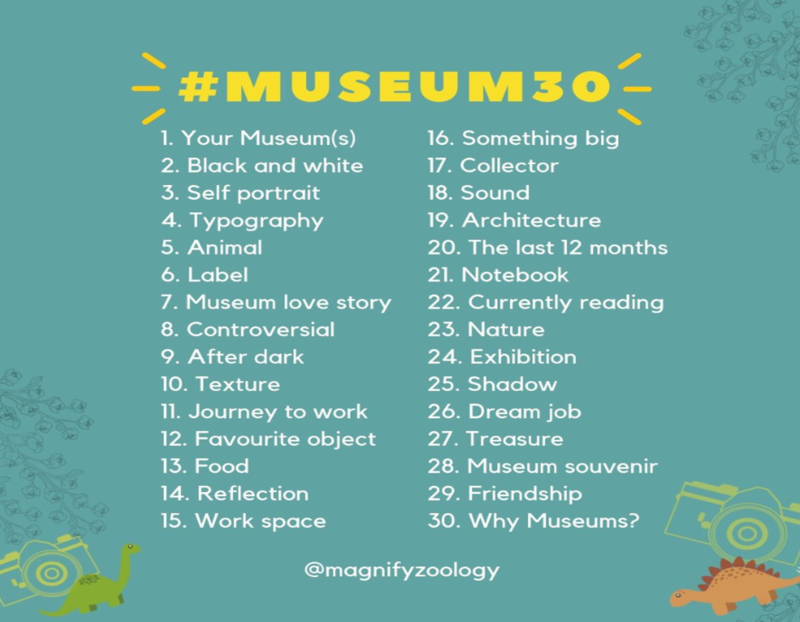 The Museum 30 list is compiled by Museum Studies and Archaeology student Gracie Price. It’s that special time of year again when NatSCA release their Call for Papers for next year’s NatSCA Conference. Due to be held in May 2019, the conference will be exploring themes under the banner Collections Success. You have until the 4th of January to submit your abstract, and can find the full details here – we can’t wait to see what you come up with for us next year!